The results of NALP’s 2014 Associate Salary Survey reveal, among other things, the changing landscape of the largest law firms in the U.S. Although first-year associate salaries of $160,000 are still common at large firms of more than 700 lawyers — especially in large markets — the prevalence of $160,000 salaries at these firms as a whole is far below what it was just five years ago, accounting for just over one-quarter of the salaries reported by firms of this size. In 2014, first-year associate salaries of $160,000 accounted for 27% of the salaries reported by firms of that size. By contrast, in 2009 nearly two-thirds of first-year salaries were reported as $160,000, confirming the characterization of 2009 as the high point for large firm salaries. The data suggest that the reason for the shift, however, is not that individual law firm offices are paying first-year associates less than they have in the past. Instead, as more law firms have grown through acquisition and merger, the largest law firms are not as similar to one another as they used to be. In addition to elite global firms, there are many firms with more than 700 lawyers that are made up of many smaller regional offices, none of which pay the benchmark first-year salary of $160,000, and, as a result, a larger percentage of large law firm starting salaries fall below that mark. With few exceptions, the $160,000 salary also stands as the high salary paid to first-year associates, as it has since 2007 when some firms first raised salaries from $145,000. The national median first-year associate salary at the largest firms was $135,000 in 2014, the lowest since 2006. Since 2008, however, $160,000 has stood as the single most commonly reported salary, with $145,000 generally a distant second. As might be expected, in many markets, including Chicago, Los Angeles, New York, and Washington, DC, first-year salaries of $160,000 are generally still the norm at the largest firms, although, following the national pattern, they are not as widespread as they were just a few years ago. For example, in 2009, about 90% of offices in firms of more than 700 lawyers in Los Angeles and Washington, DC reported a first-year salary of $160,000; in 2014 only about 40% did so, resulting in medians of $145,000 and $150,000 in those cities, respectively. In firms of 251-700 in Chicago and Los Angeles, a number of firms pay first-year associates $160,000; however, the number paying less is large enough to result in medians of $150,000 and $145,000, respectively. In Washington, DC the majority of firms of this size reported a $160,000 starting salary. The median in San Francisco for firms of 251 or more lawyers is $145,000, reflecting more first-year salaries of $145,000 or less than salaries of $160,000 — and thus not enough $160,000 salaries to return the median to the $160,000 figure, which was reached only in 2009. Only in New York is the $160,000 starting salary still dominant, with about 75% of firms of more than 250 lawyers paying that amount and about 90% of firms of more than 700 lawyers reporting that as the first-year associate salary. NALP’s 2014 Associate Salary Survey reports that the overall national median first-year salary at firms of all sizes was $125,000, unchanged since 2012. Medians ranged from $68,000 in firms of 2-25 lawyers to $160,000 in firms of 251-500. The latter figure is unchanged from 2013. In larger firms of 501-700 the median was $125,000, as it has been since 2012. In the largest firms of 701+ lawyers the median was $135,000, after standing at $160,000 in all but one of the prior six years. These figures demonstrate that not all very large firms pay $160,000 to start, even in major markets, and that not all firms that pay $160,000 to start are the very largest firms. 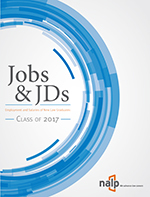 Information reported by firms concerning their anticipated base pay for incoming class of 2014 associates (lawyers who will start work in fall 2014 and whose first-year salaries will be measured in 2015) suggests that while $160,000 will remain the single most common starting salary in firms of more than 700 lawyers, it will be the starting salary for just one-quarter of these firms, resulting in a median of $130,000 for these firms, compared with the $147,500 anticipated salary that was reported last year for the class of 2013. In firms of 251-500 lawyers and 501-700 lawyers, $160,000 is also the single most common salary for incoming class of 2014 associates; the respective medians were $115,000 and $135,000. In recent years, a number of firms have moved to a compensation system in which associates move through levels, with compensation decisions within each level primarily based on skills mastered rather than on class year. Firms using a levels-based system typically have three, or sometimes four, levels. 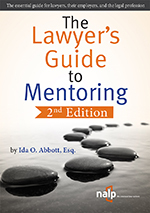 In 2014, the median level of compensation within the first level was $112,500 in firms of more than 700 lawyers, and $135,000 overall. The median in the second level of compensation was $155,000 in the largest firms and overall. The respective figures for the third level were $187,000 and $174,000. Compared with 2013 there was less reporting of levels-based compensation information. In general, however, average salaries reported for each level align with those reported for 2013. A total of 560 law offices responded to NALP’s 2014 Associate Salary Survey, providing salary information as of April 1, 2014. 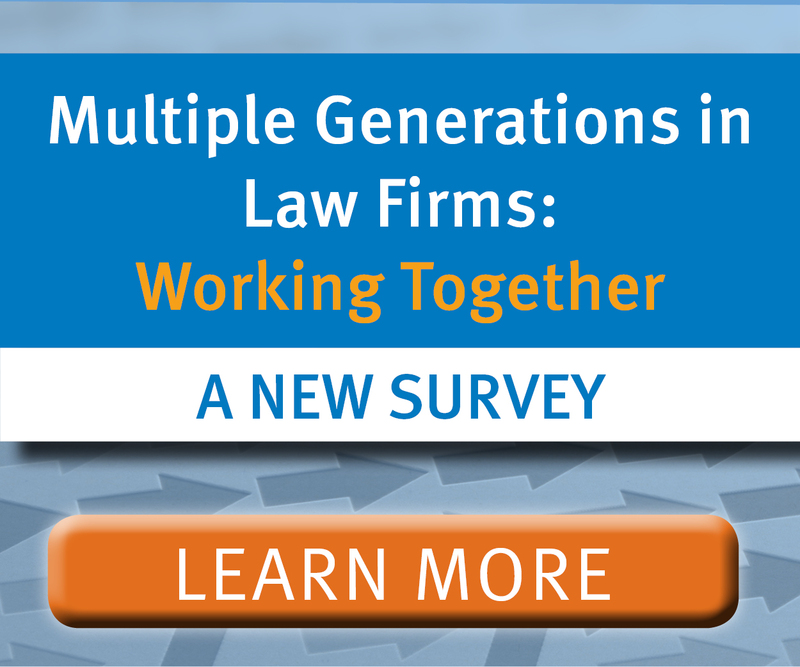 With over 12% of respondents representing firms of 50 or fewer lawyers and 49% representing firms of more than 500 lawyers, the report sheds valuable light on the breadth of salary differentials among law firms of varying sizes at the national level. As expected, each year of associate experience brings several thousand dollars in increased compensation: median salaries for eighth-year associates ranged from $101,000 in small firms to over $235,000 in firms of 251-500, with a median for all reporting firms of $169,000. The volume of data reported on this year’s survey allowed analyses for 27 individual cities as well as additional states and regions not encompassed by those cities. These analyses reveal a wide range of law firm compensation. For example, the overall prevailing salary for first-year associates in firms of more than 700 lawyers was $160,000 in the Northeast. In other regions, the high was $160,000 but the median was $145,000 in the West, $125,000 in the South, and $110,000 in the Midwest. The highest first-year salary reported was $180,000. As noted earlier, however, that figure was the exception and not at all typical. Outside of the largest markets, salaries of $160,000 in large firms were not typical. The median in Atlanta and Charlotte was $135,000, and in a number of markets including Minneapolis, St. Louis, Pittsburgh, and Detroit, medians were in the $107,000-115,000 range. Contrasts between large and smaller metropolitan areas are also evident. For example, in large metropolitan areas with populations of more than 5 million, the median first-year salary in firms of 501-700 lawyers was about $141,000; in metropolitan areas of fewer than 1.5 million, the median was $100,000. The 2014 Associate Salary Survey also gathered information on salaries for intellectual property (IP) lawyers, though that information was more limited, and in large part reported by firms of more than 250 lawyers. The information reported suggests that, compared with firms of this size as a whole, those with IP lawyers pay an entry-level salary of $160,000 far more often. When IP salaries at these firms are compared with firms of more than 250 lawyers as a whole, the median and prevailing salary is $160,000 instead of $135,000 and the median is about $70,000 higher among senior associates. Also, not all firms with IP lawyers have a differentiated salary scale for IP lawyers. NALP’s 2014 Public Sector & Public Interest Attorney Salary Report reports on salaries for entry-level and experienced attorneys at legal services organizations, local district attorney offices, public defender offices, and a variety of nonprofit public interest organizations. This report, which is published every other year, thus serves as a companion piece to NALP’s Associate Salary Survey. The table on the following page summarizes some of the report findings. The 2014 report continues to document in stark terms the contrast between public sector/public interest salaries and those at private law firms. For example, as reported in the 2014 Associate Salary Survey, the median salary for a fifth-year associate ranged from about $90,000 to $210,000 depending on firm size. These figures are far higher than what an attorney with similar experience makes at a public service organization. The $160,000 starting salary at some big firms in some markets is beyond what even the most experienced attorneys can reasonably expect at a public sector or public interest organization. Note: Findings are based on a nationwide survey conducted by NALP among civil legal services organizations, offices of public defenders, local prosecuting attorneys, and public interest organizations. A total of 362 organizations completed the 2014 survey. More detailed associate salary results by city and region for associates through the eighth year, information on salary ranges and bonuses, and information on salaries for firms that have established a levels-based system tied to the mastery of competencies, are found in the complete 2014 Associate Salary Survey report, now available from NALP’s bookstore for $160 plus shipping and handling. The full 2014 Public Sector and Public Interest Attorney Salary Report, including salaries by region and population size and additional information on selected benefits, is also available from NALP for $50 plus shipping and handling. NALP maintains an online archive of press releases. For additional information about NALP research, contact Judith Collins (jcollins@nalp.org), Director of Research, or James G. Leipold (jleipold@nalp.org), Executive Director, at 202-835-1001. Mailing address: National Association for Law Placement, 1220 19th Street NW, Suite 401, Washington, DC 20036-2405.